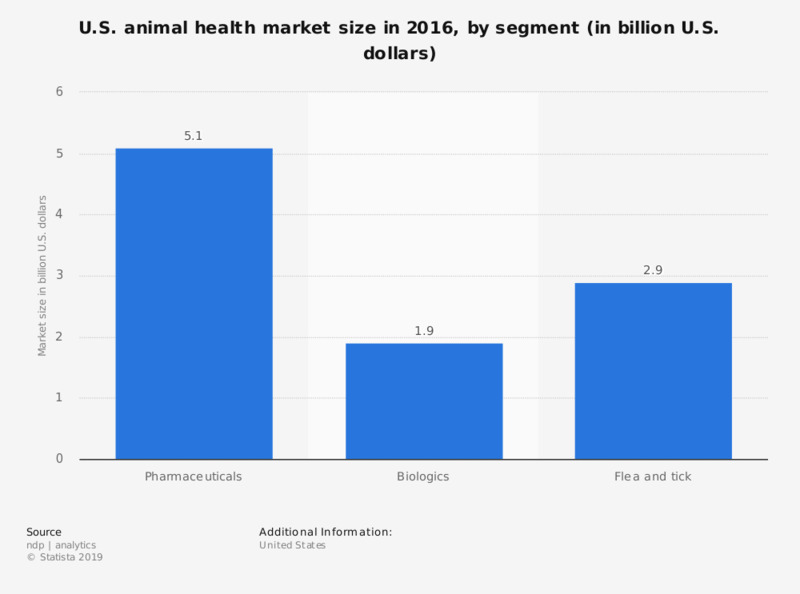 This statistic shows the value of the animal health care products market in the United States in 2016, by industry segment (in billion U.S. dollars). In that year, health products in the pharmaceuticals segment generated 5.1 billion U.S. dollars. Statistics on "U.S. pharmaceutical industry"
How is your overall impression of the U.S. pharma industry? How high do you think the pressure on physicians is from the pharma industry to prescribe certain drugs? How would you rate the U.S. pharma companies concerning the quality of their drugs? How would you rate the U.S. pharma companies concerning their fairness towards patients? Which of these pharma companies do you prefer when buying drugs?